SolvAir was recently contacted to supply a container drying system for a food producer. After consideration the solution we provided was a turnkey high quality stainless steel package. The system we provided would be operated in a ‘high-care’ food production area therefore hygienic design and construction was paramount. 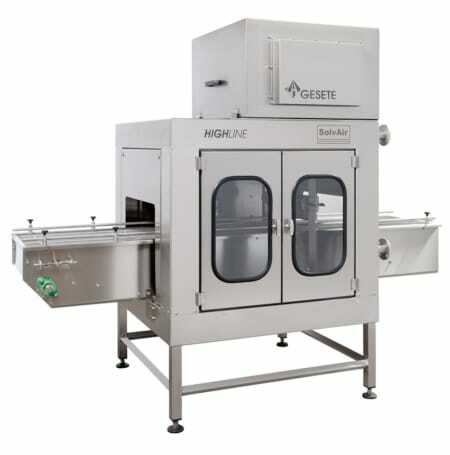 It included the drying system components which were housed in an enclosure, as well as the conveyor and the system controls. This type of custom solution demonstrates our ability to review the criteria set by our client and provide an all-encompassing system which is simply integrated into our clients production line. 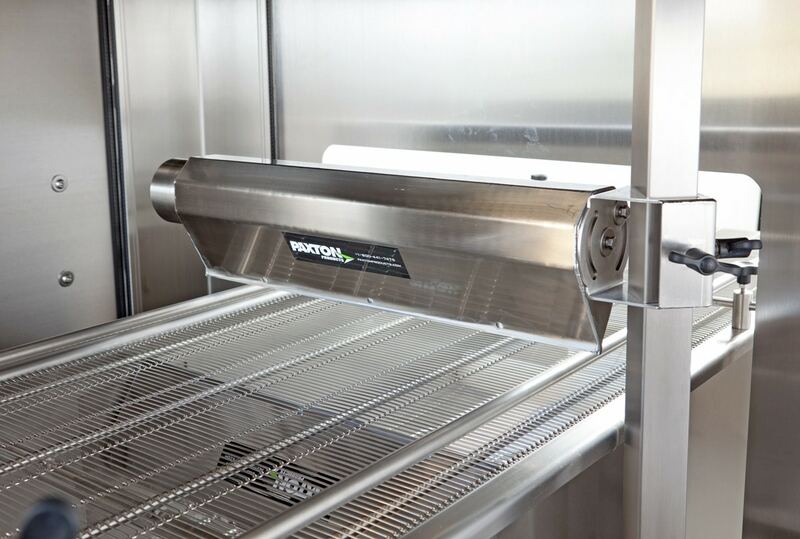 Constructed from 304 stainless steel throughout the design carries the customer’s product through a drying chamber. Here the containers are exposed to the powerful airstream from our high impact air knives. These precisely apply air to the surfaces of the product forcing the water droplets off. At the heart of the drying system is a Paxton AT1200 High Performance Centrifugal blower. 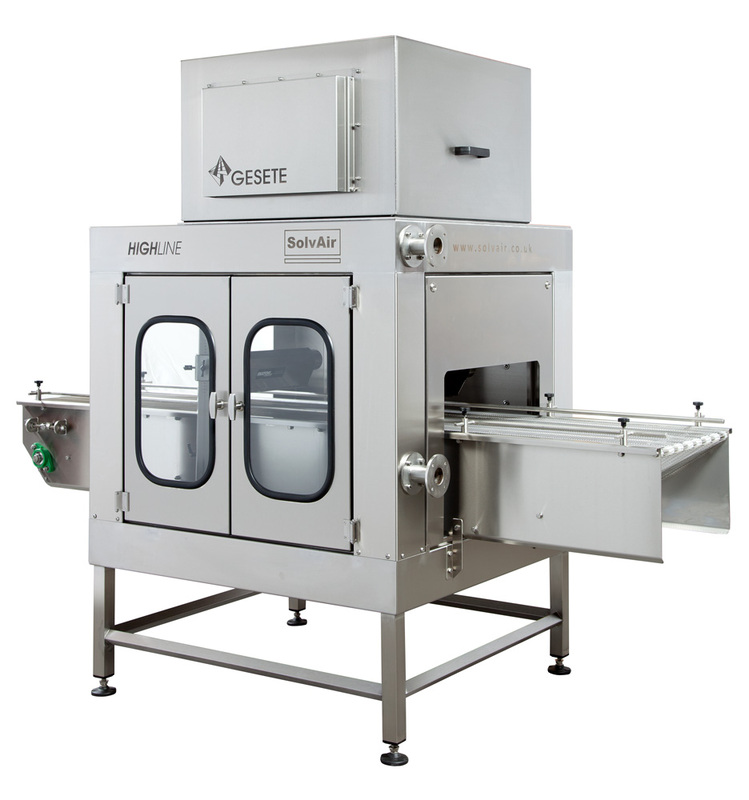 This efficiently generates airflow at a pressure ideally suited to the demands of the air knives. The function of the system is controlled by frequency inverters for both the blower and the conveyor drive motors, allowing the performance of each to be adjusted to match the demands of the varying products that pass through. 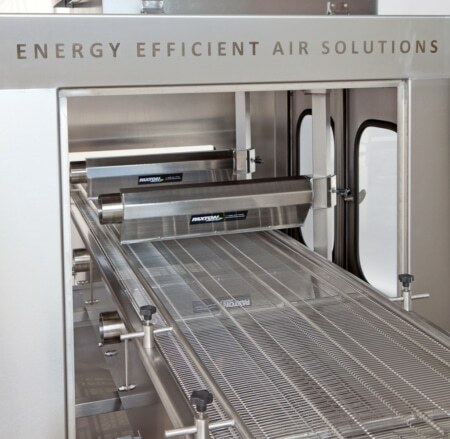 If you would like to chat about whether air drying systems could benefit your business please don’t hesitate to contact us.